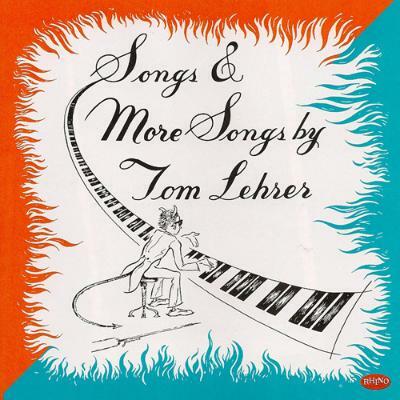 I love Tom Lehrer, I love a lot of writers of funny songs. I like Noël Coward, I like Flanders and Swann and Tom Lehrer is probably the best and funniest. Incredibly intelligent man and he's well aware of the idiocy of what he's doing. Each song lasts for about 1 minute 45 seconds, because it's like, "Here's the joke, go! ", it's really good. I think I was about 26 or 27 when I first heard him. I think it might have been 'The Elements', when he set the list of elements to the Gilbert and Sullivan tune, 'I Am The Very Model Of A Modern Major-General' is the original from The Pirates Of Penzance - I like Gilbert and Sullivan as well! I think I also liked the idea of one man and a piano, being a bit of an entertainer. I finally got up the nerve to do that myself, five or six years ago, and it's been jolly good fun. I was nervous about it, but knew it was a good time to do it. I had a few songs off that album (Bang Goes The Knighthood) that were suited to it. I did have to do an awful lot of practice to get up to standard on the piano, because I did grade one piano, and then gave up - I'm really completely untutored. So I have a bizarre technique, but it gets me through.